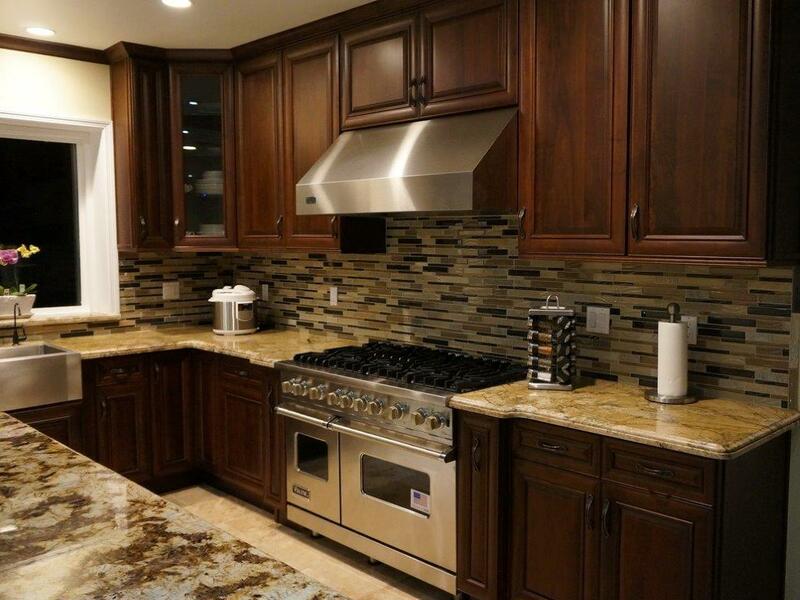 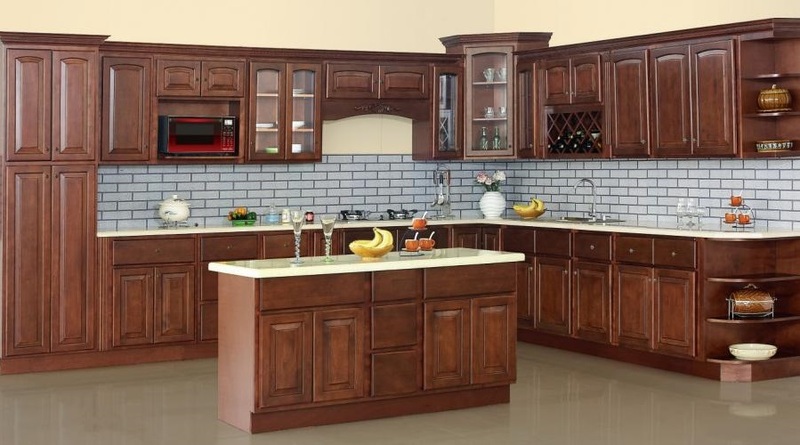 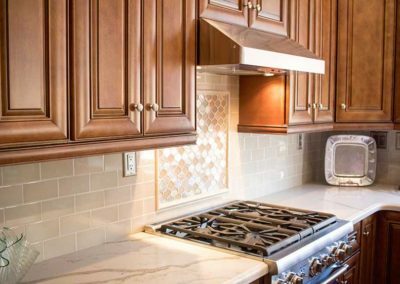 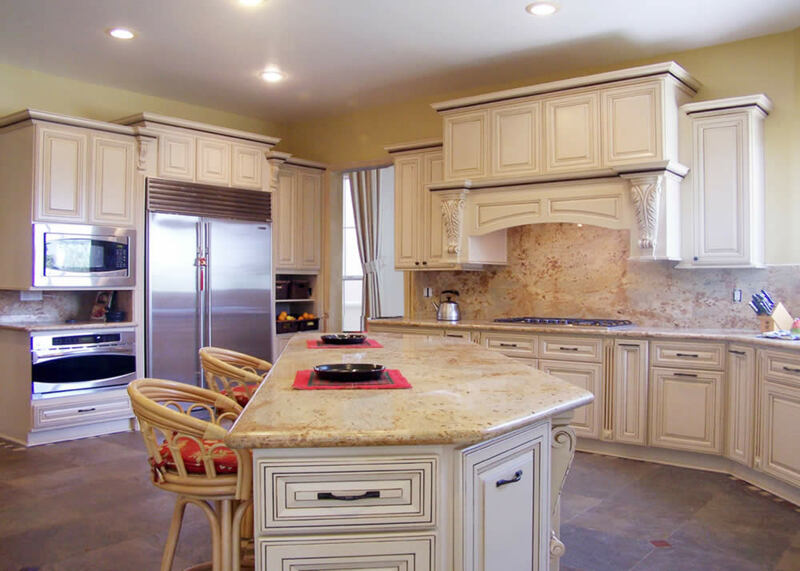 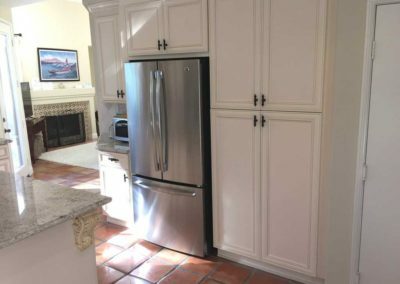 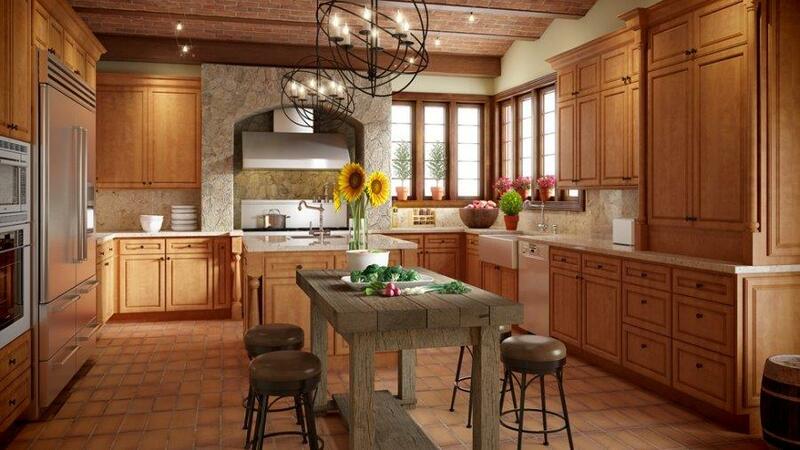 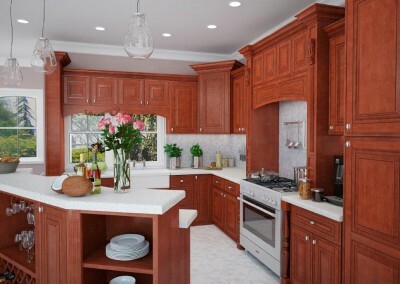 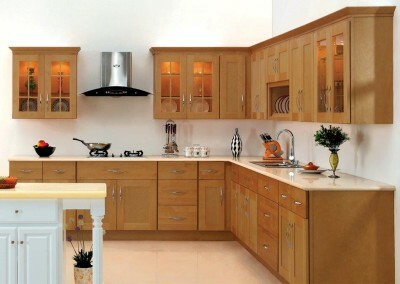 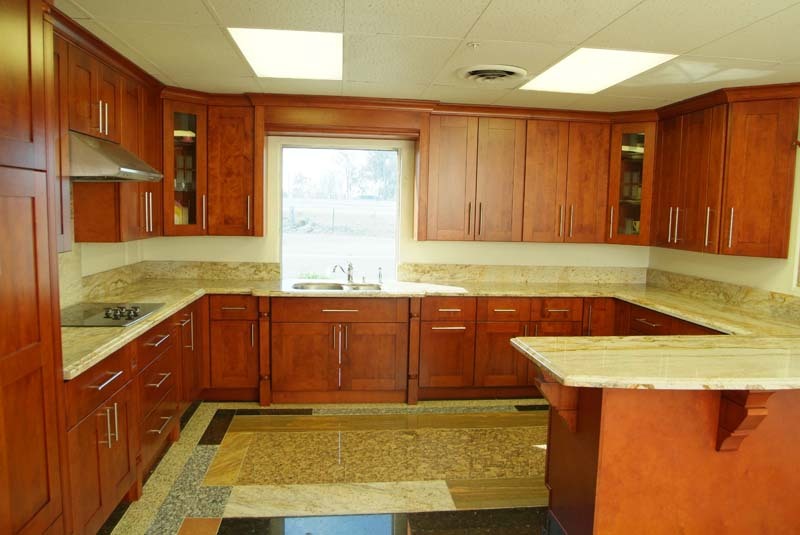 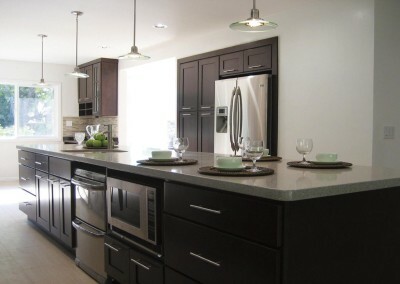 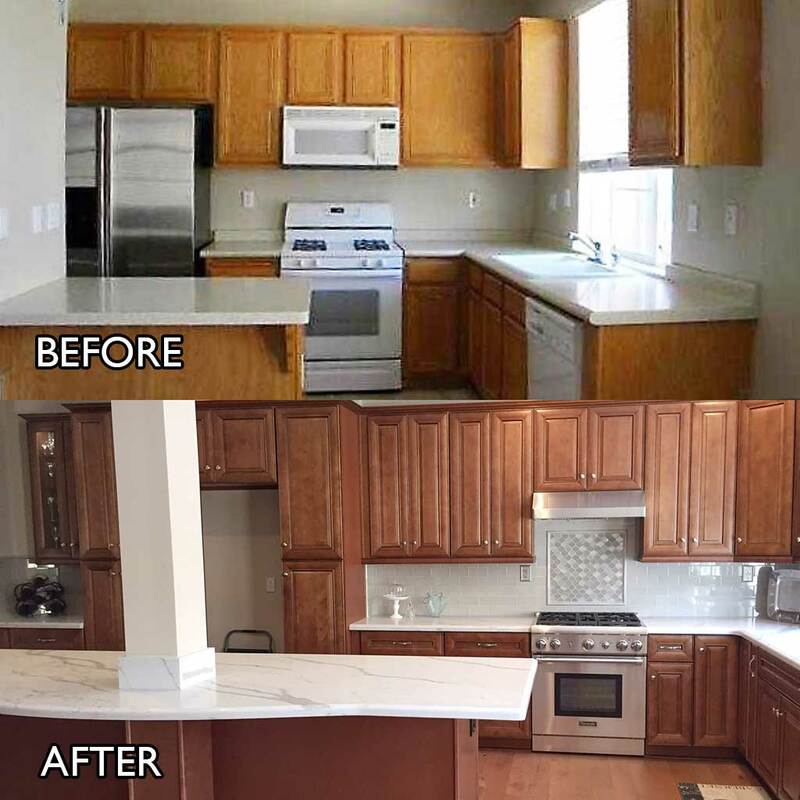 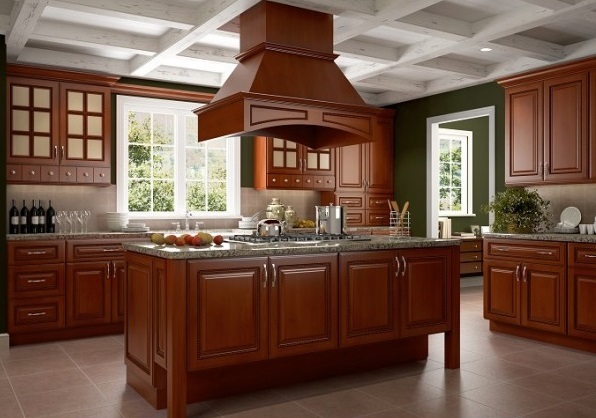 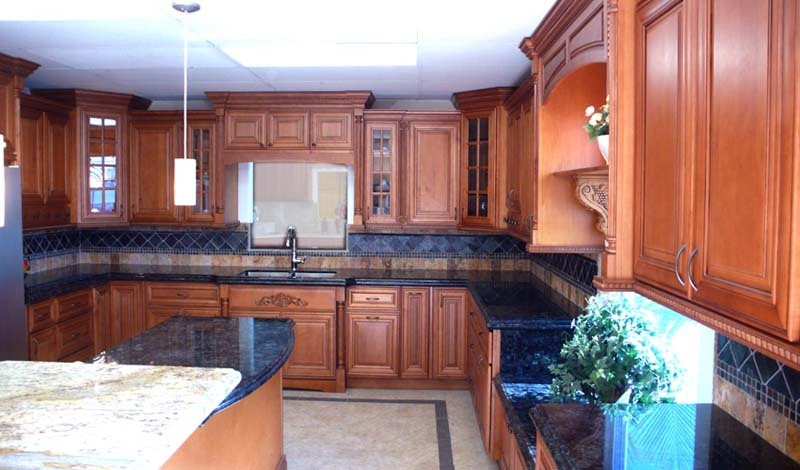 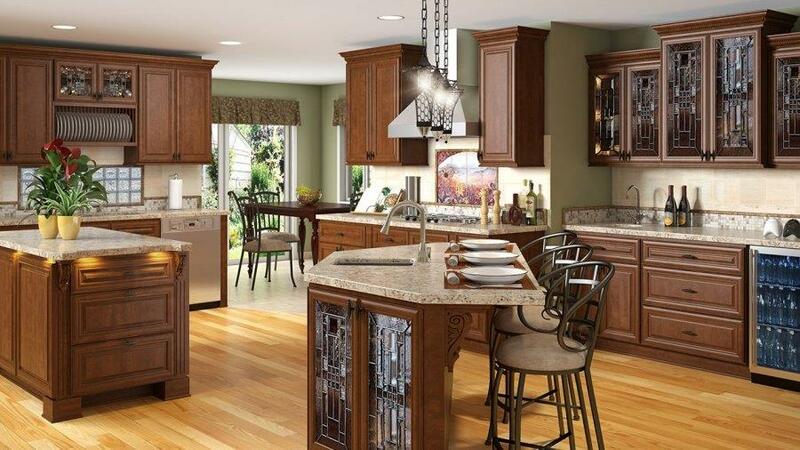 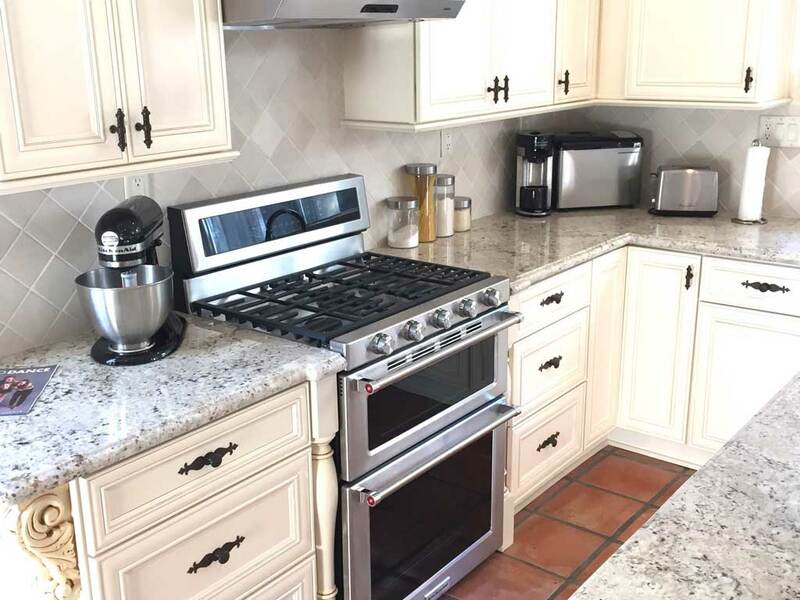 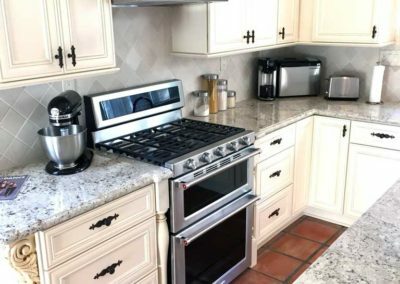 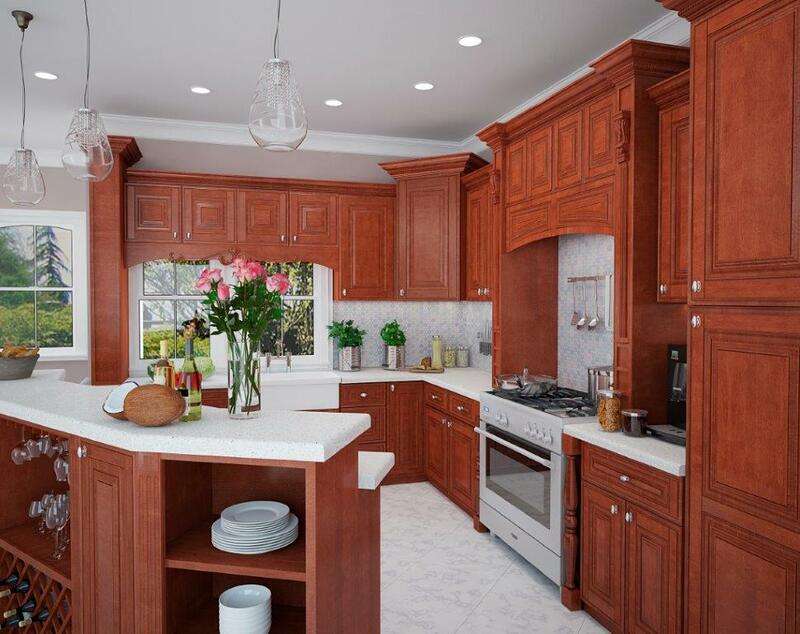 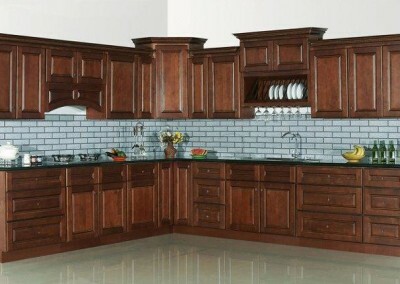 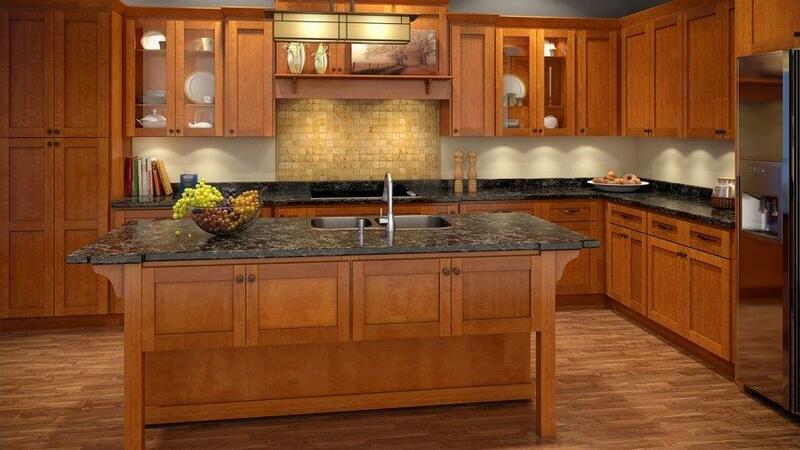 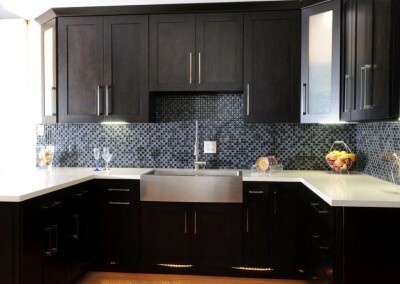 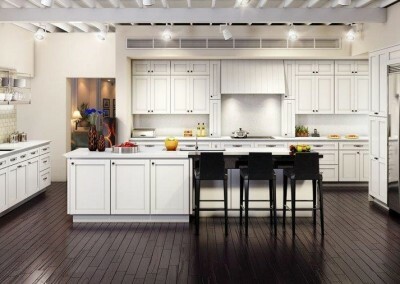 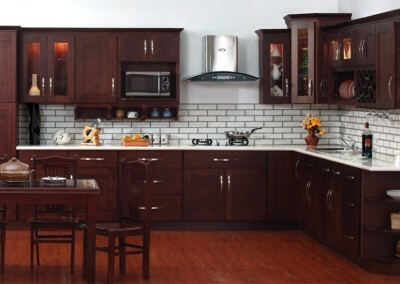 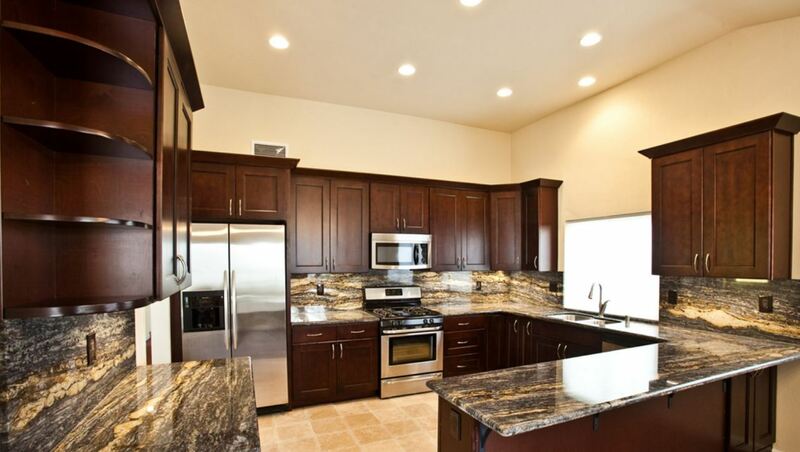 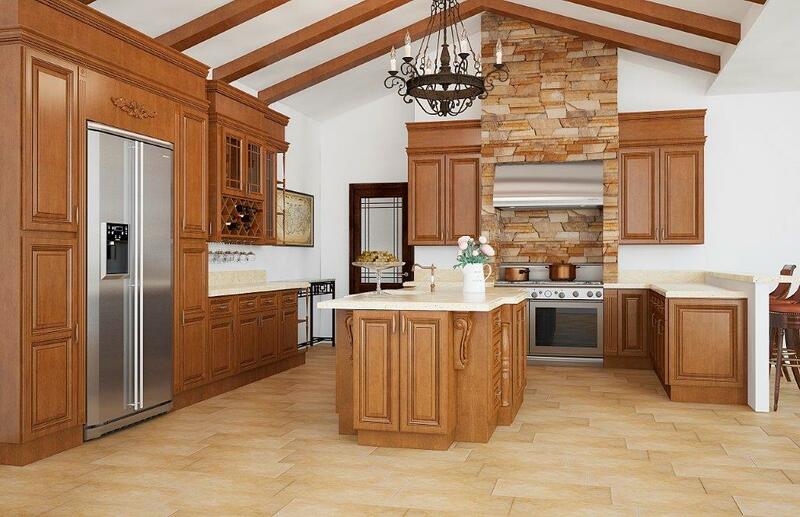 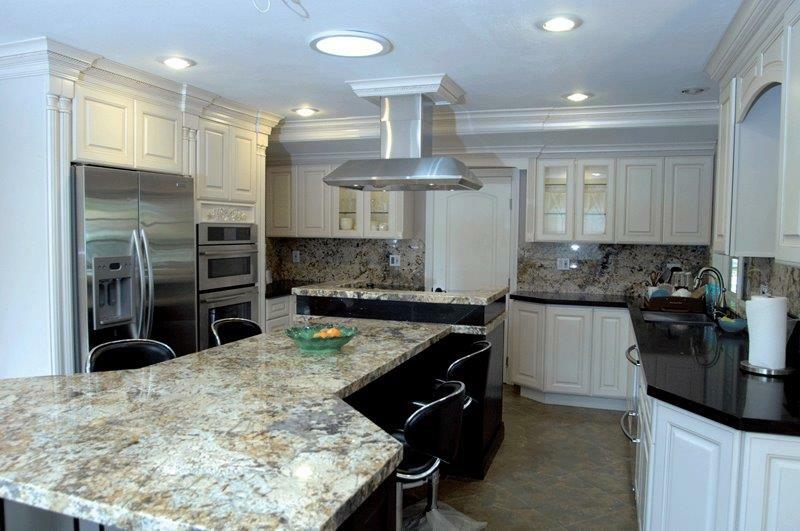 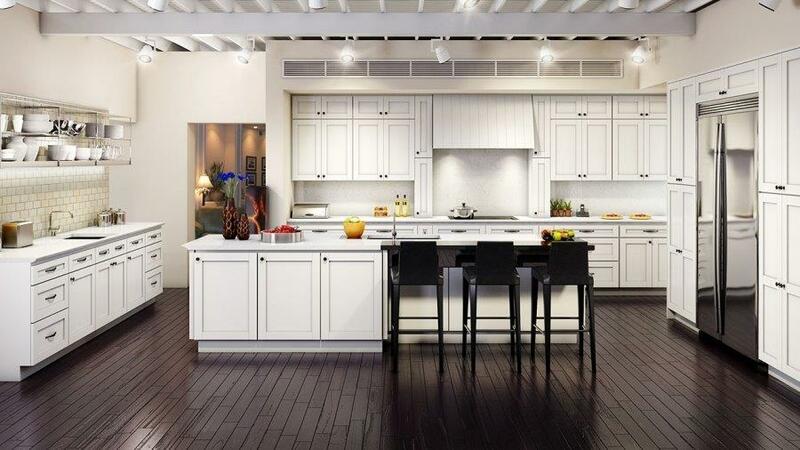 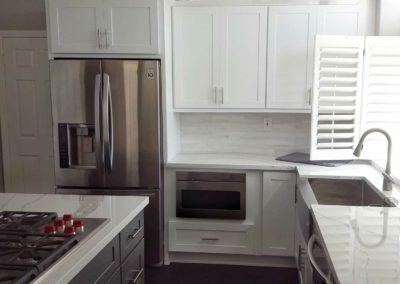 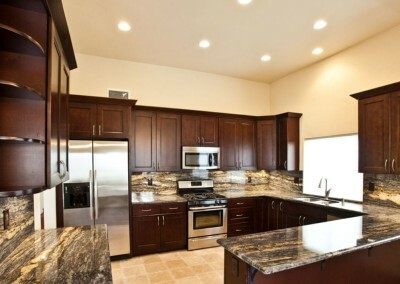 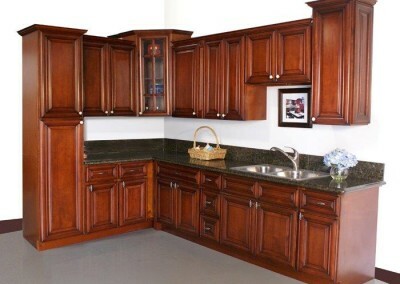 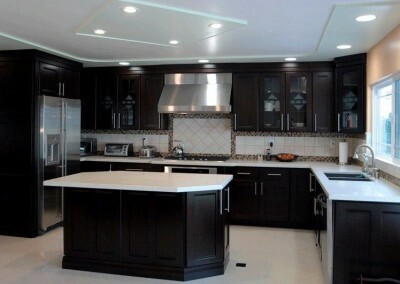 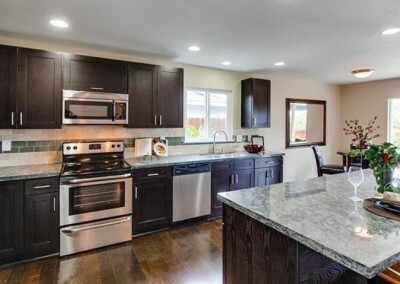 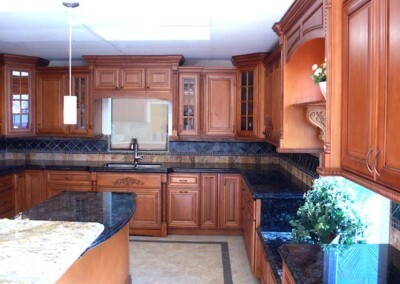 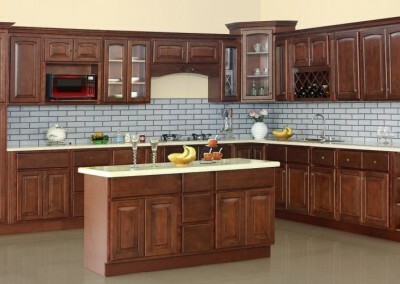 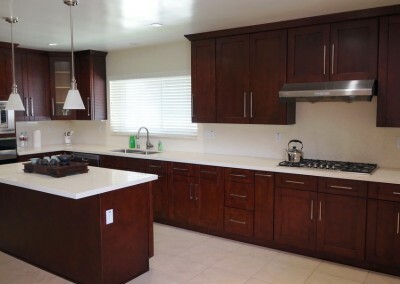 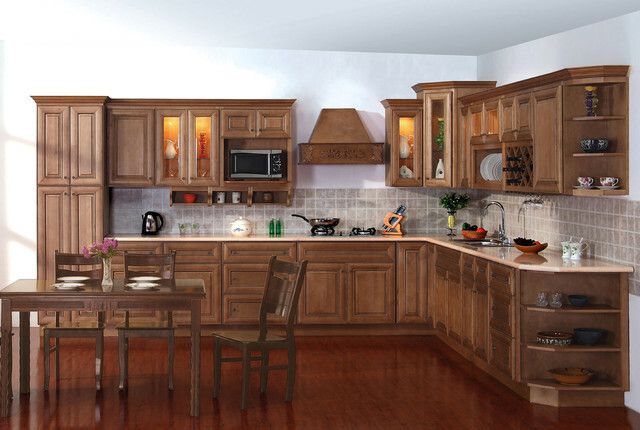 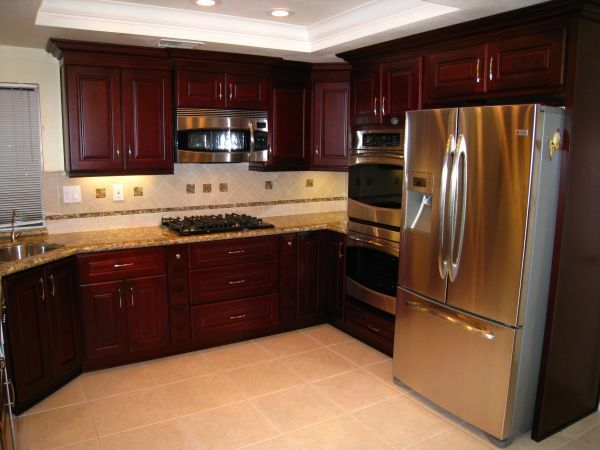 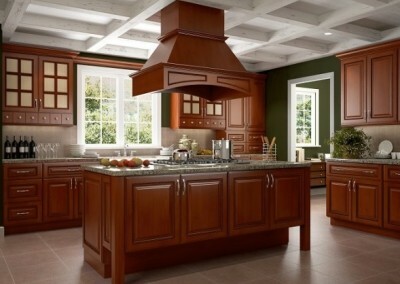 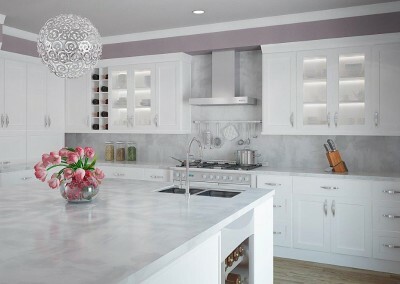 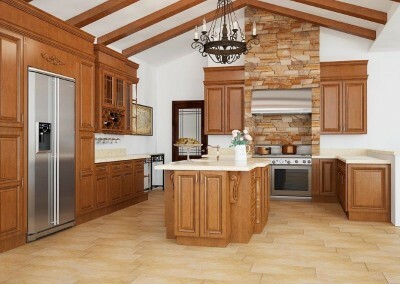 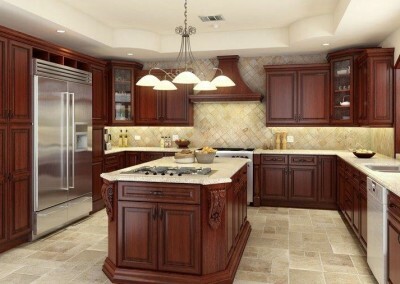 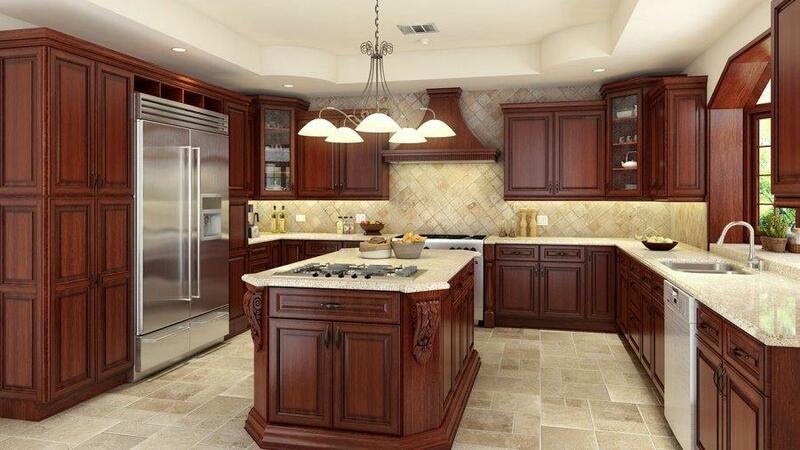 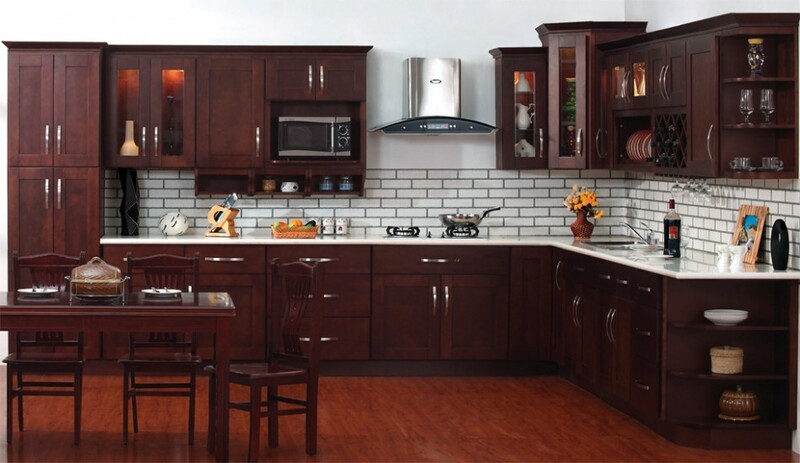 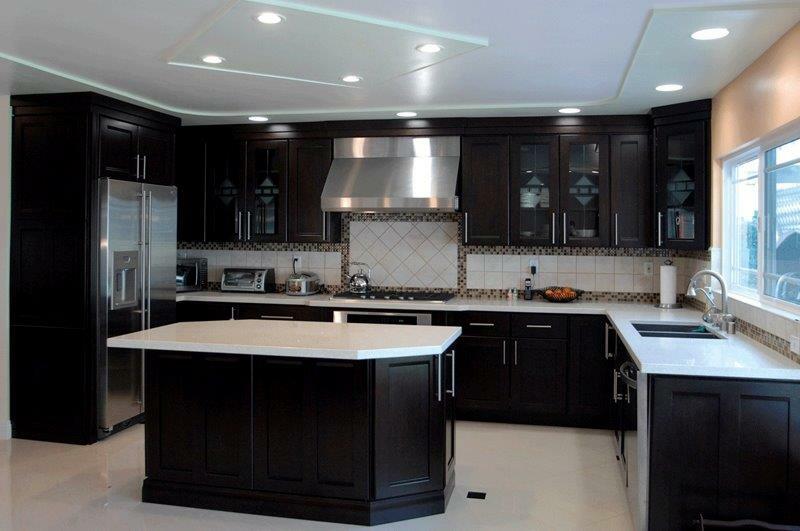 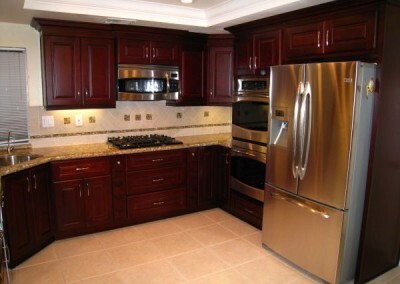 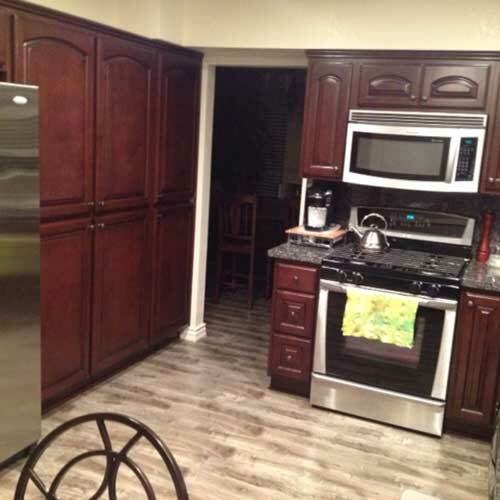 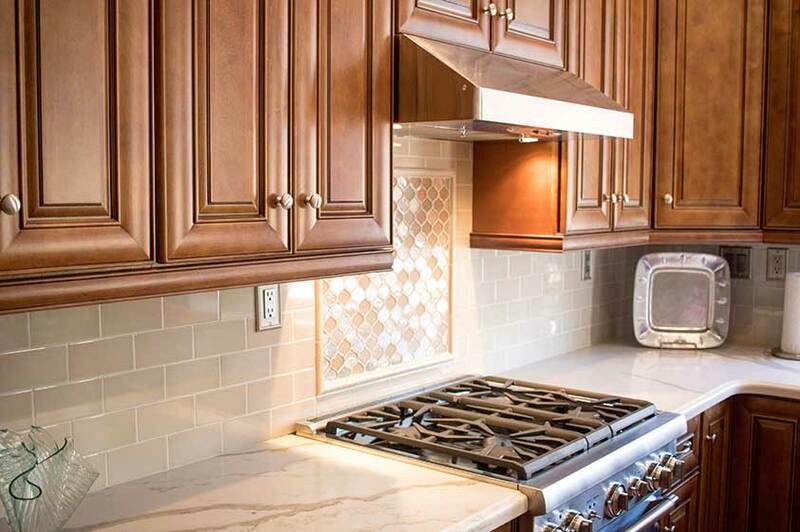 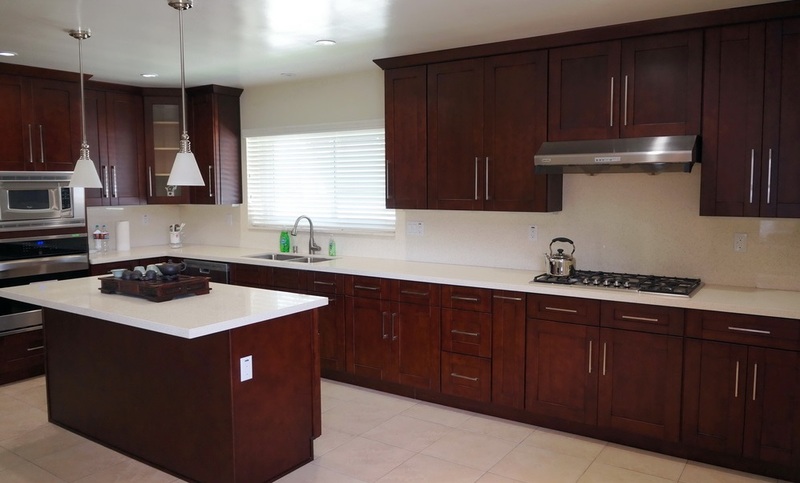 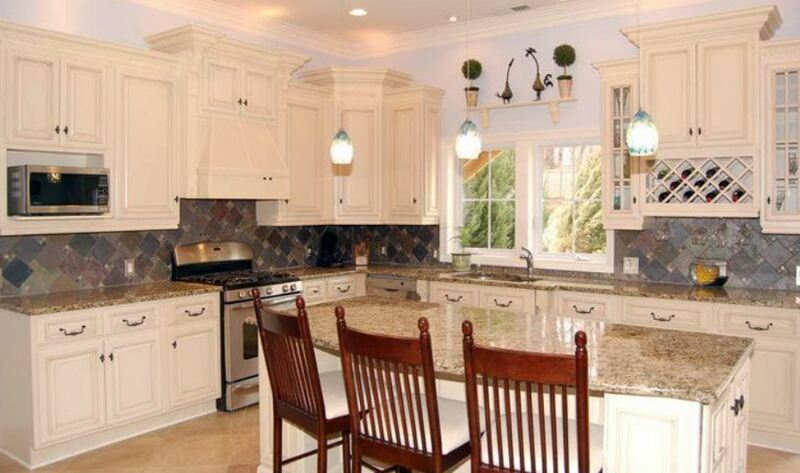 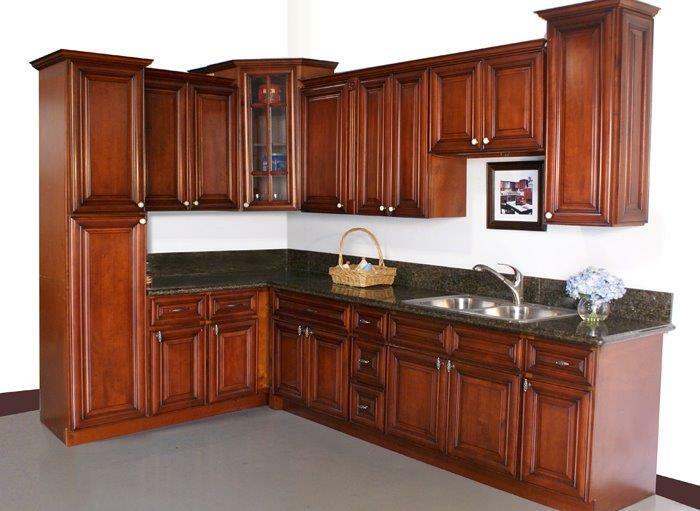 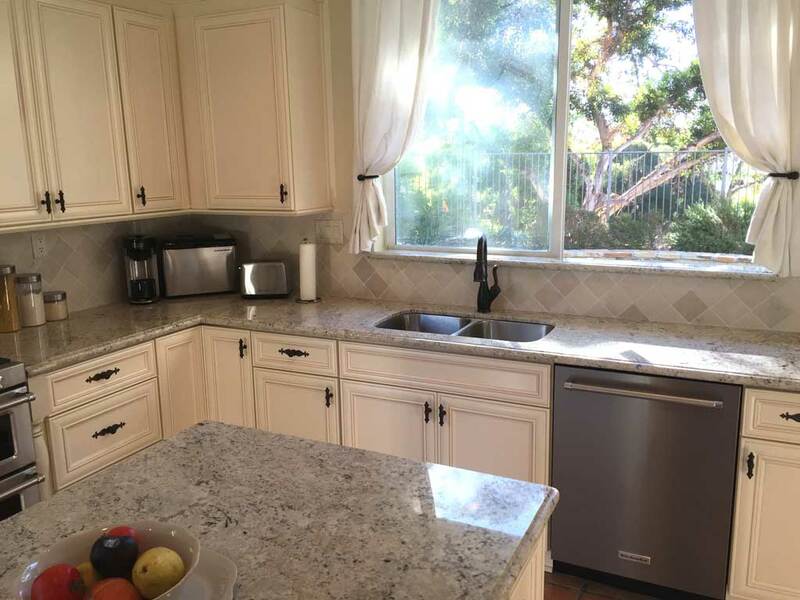 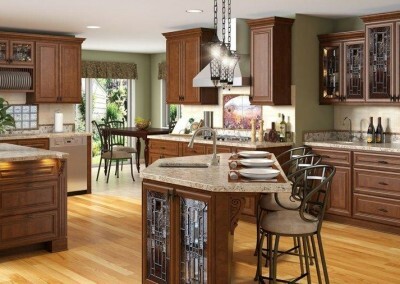 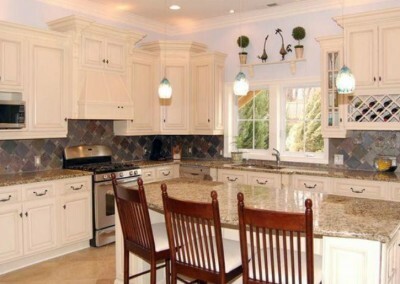 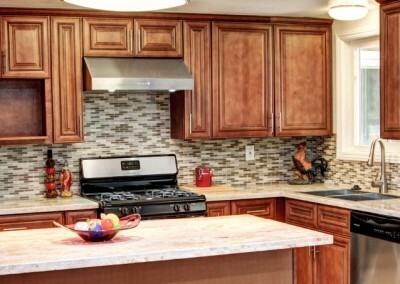 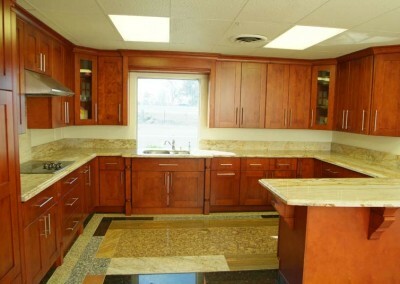 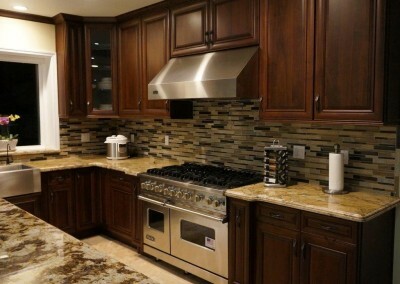 Get a free consultation with a kitchen cabinet pro. 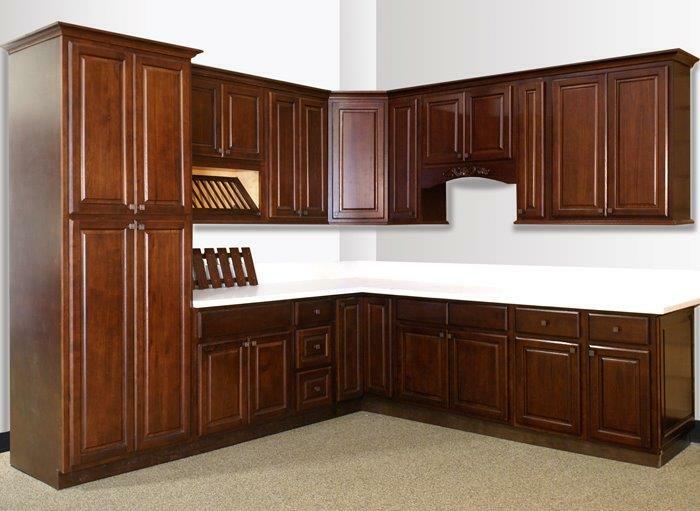 We carry a broad selection of in-stock cabinets that we’ve carefully selected for quality and value. 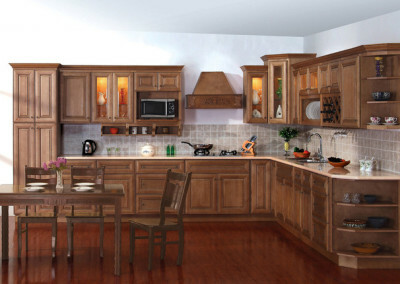 Any configuration can be accomplished, as long as it’s designed within the parameters of the program. 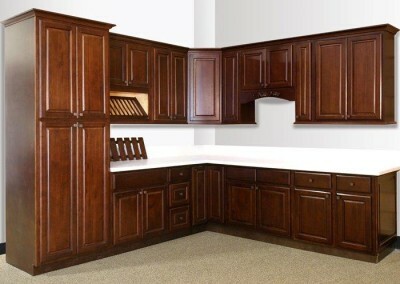 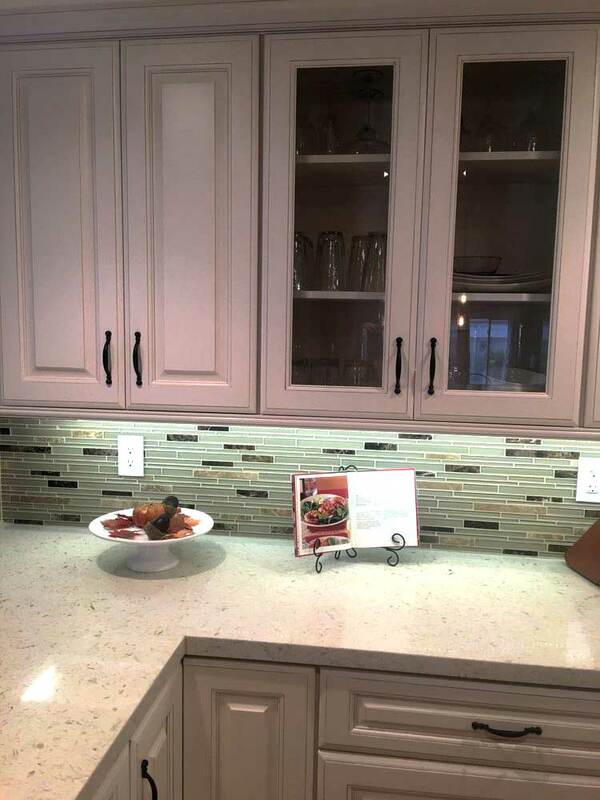 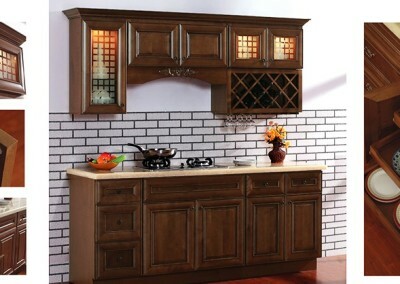 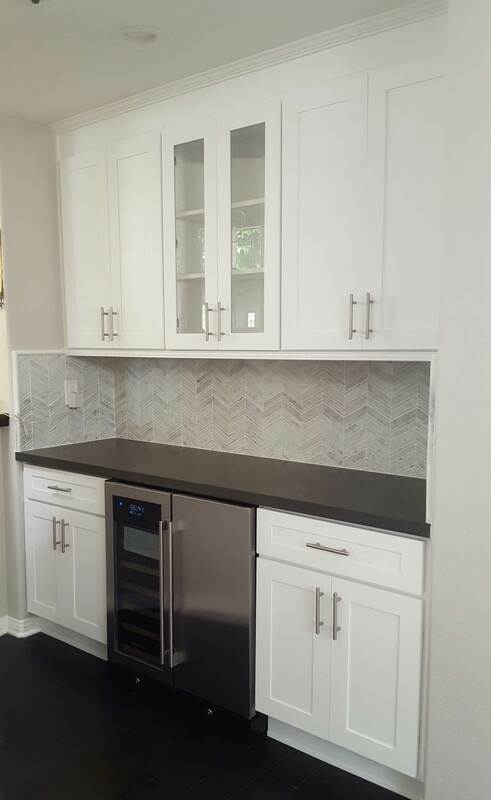 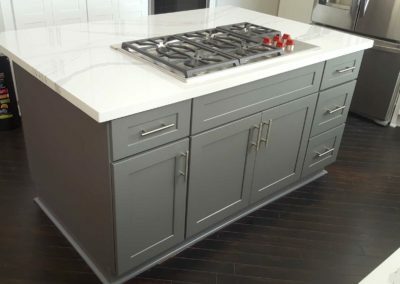 In-stock cabinet lines have their own unique styles and features so we just have to find the right fit for your needs! 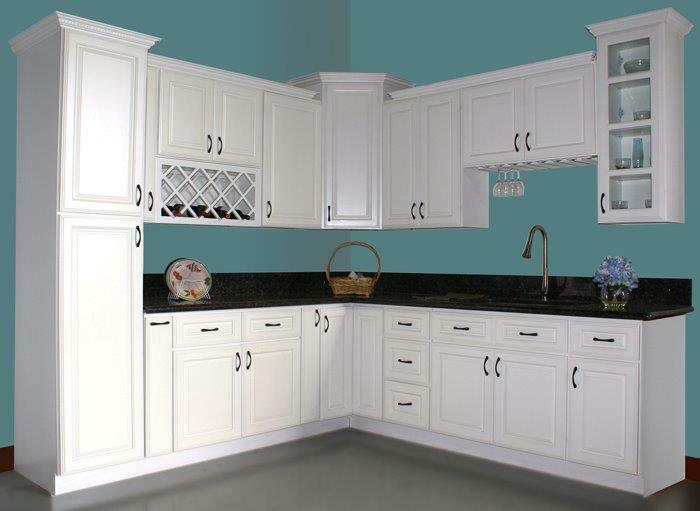 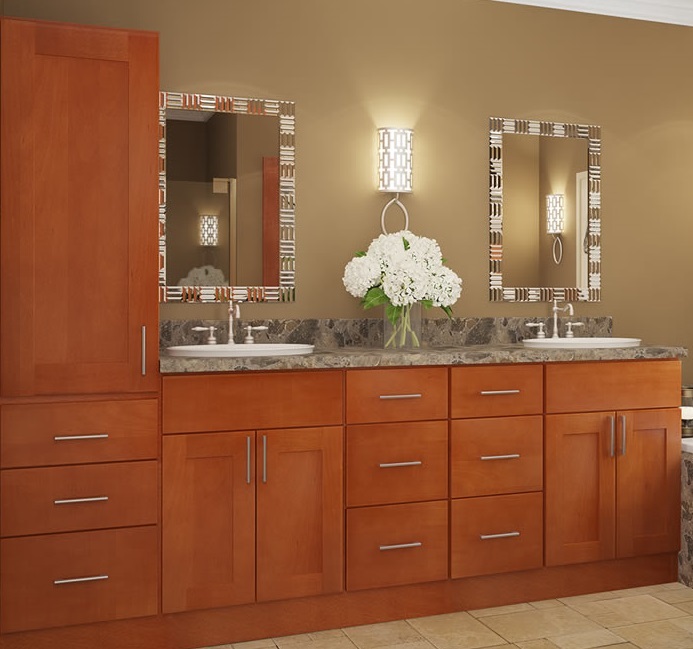 See our cabinet door styles and finishes. 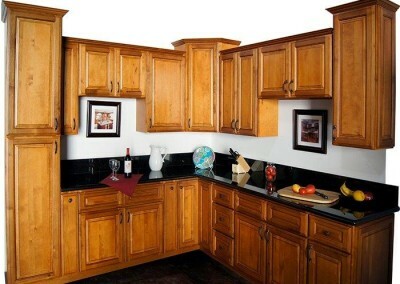 Are plywood construction with hardwood doors and drawers. 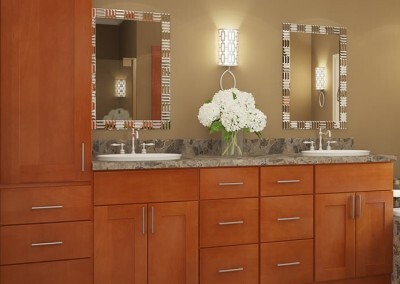 All come in bathroom configurations. 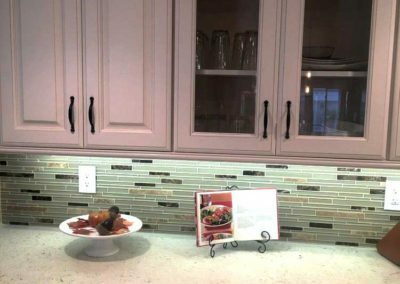 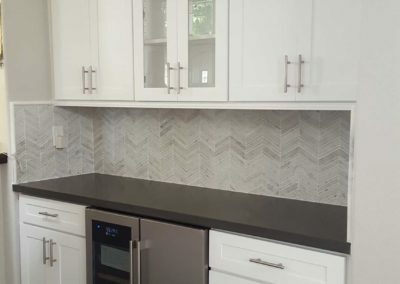 When planning for kitchen cabinets, many families and designers have been utilizing space by creating more specialized work zones. 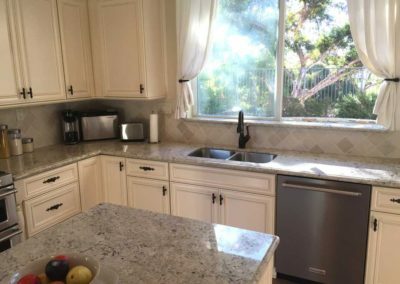 In the past, most kitchens zones were limited to a prep zone, a cooking zone, and a clean-up zone. 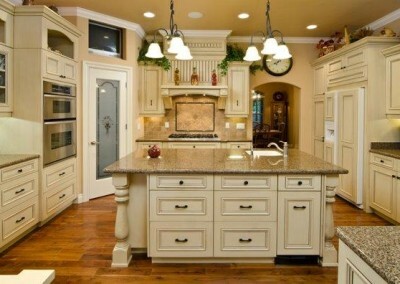 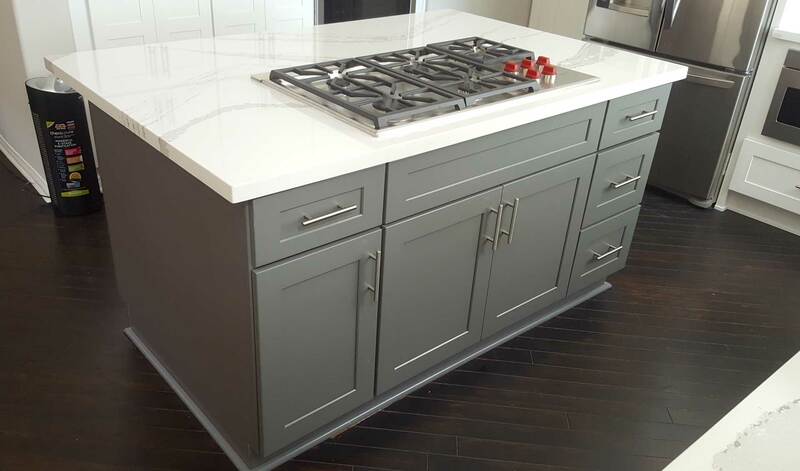 With the increase in usage of the space as more than meal preparation area, specialized zones have emerged. 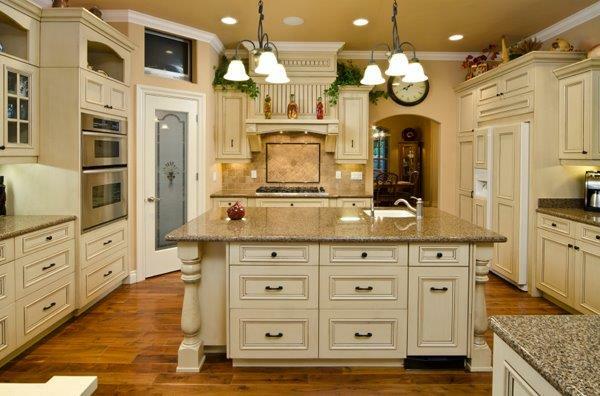 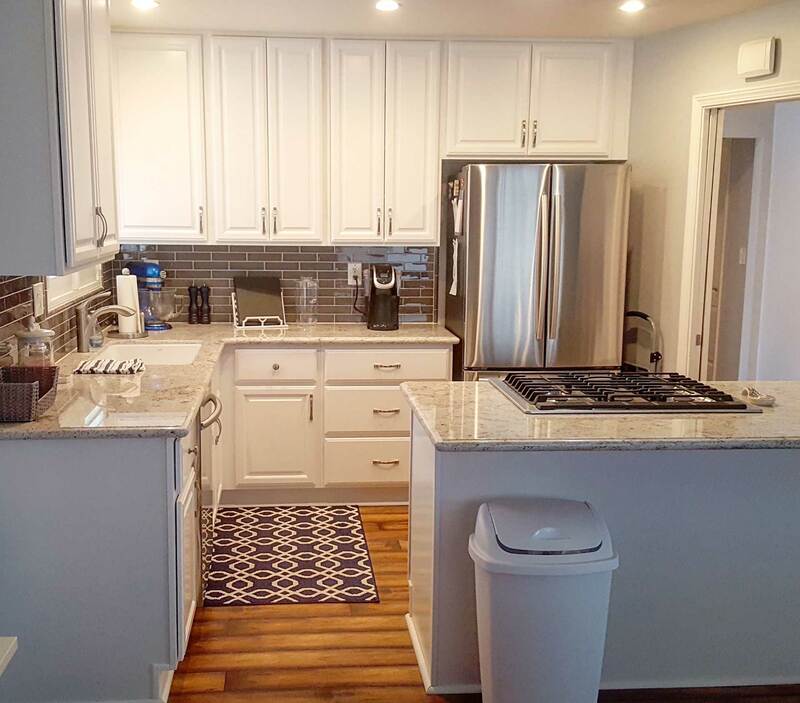 A few examples of some specialized work zones you may consider for your home include a coffee center, baking station, or bar area. 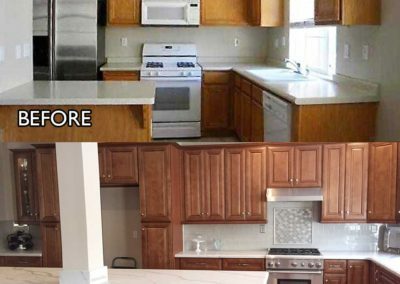 Specialized work zones can often be incorporated without a major makeover using existing counter space and storage areas. 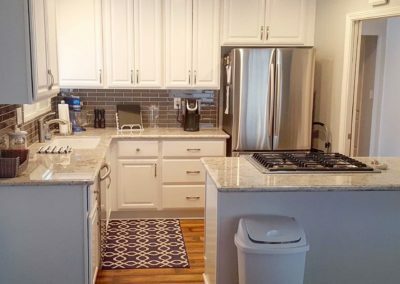 For instance, you could cluster together on a counter area a coffee or espresso maker, a variety of coffee storage bins, and add hangers under the cabinet over the space for storing coffee cups and mugs. 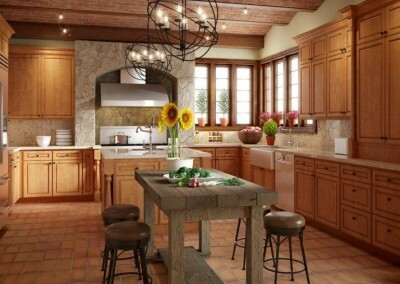 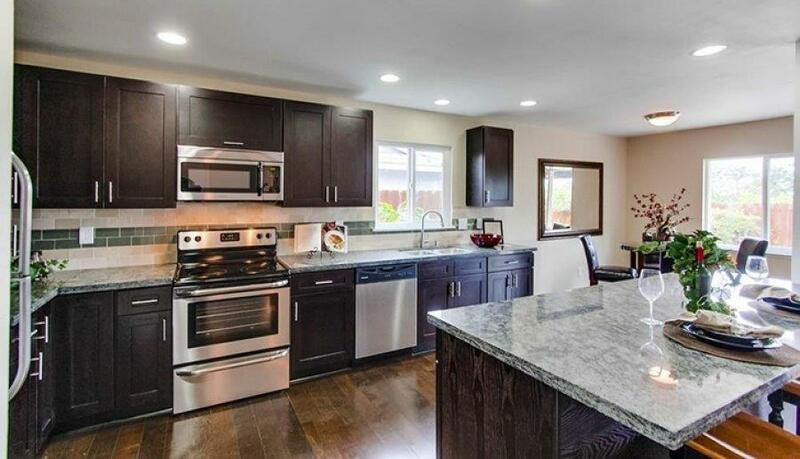 Work zones allow you to move efficiently around the kitchen without interrupting those using other areas of the room. 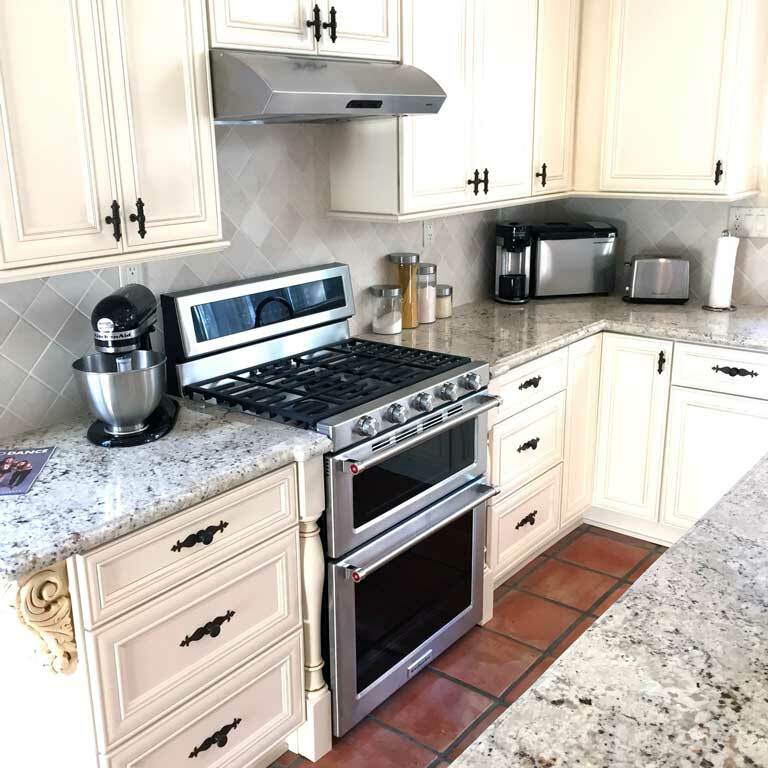 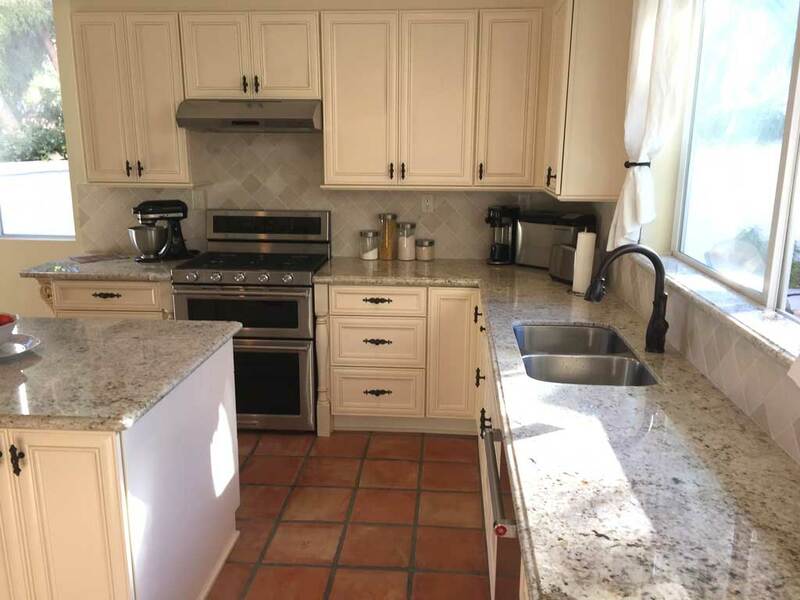 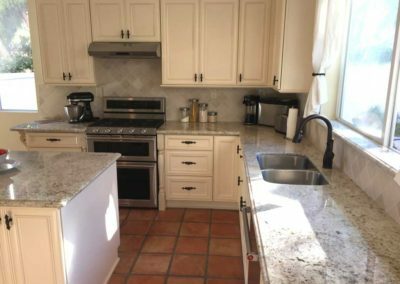 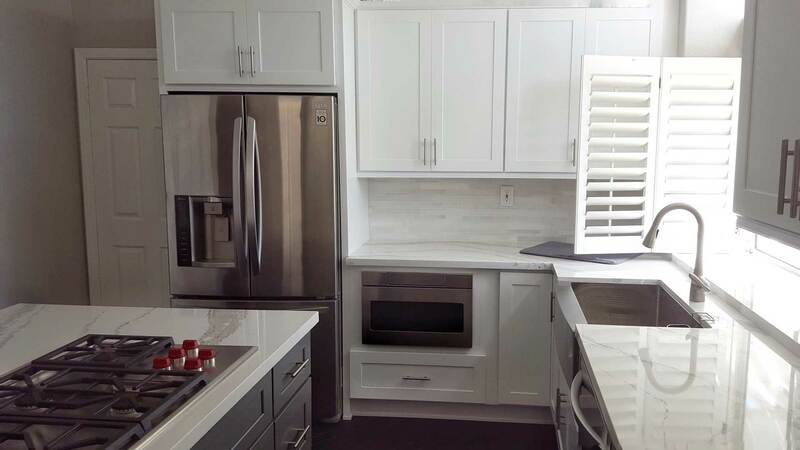 Our kitchens are most functional when they are accessible to the whole family, including seniors and/or disabled members with specialized accessibility needs. 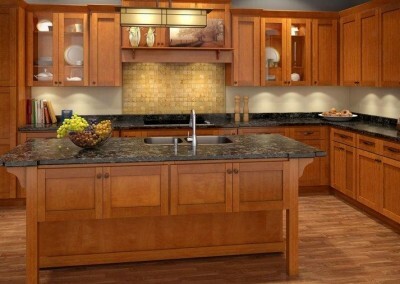 Learn about accessible kitchens.